A range of Android games left a big impression on 2018, which included massive download numbers, huge audiences or mind-blowing revenue. However, a handful did manage to do all of this and still end up very relevant not just for their creators and players, but for the entire field of Android gaming. Here is my top three of the games that were the key movers and shakers of the year. Brawl Stars came out late in the year but still easily hits this list. This multiplayer arena part fighter part team brawler was made by Supercell and this makes it an instant hit. But, in spite of the rising popularity that will continue to go up and up in 2019, the game showcases a new potential genre for mobile esports that are not battle royale titles. There’s no doubt that the developer will play heavily on esports teams finding their way to the same title. This interactive love story made a big impression on a huge number of players, but its relevance goes beyond that. This game showed once more that the mobile platforms have what it takes to carry ambitious games that are profound and also casual when it comes to their gameplay mechanics. Its success is hard to emulate, but many will try nonetheless and some of these will birth great mobile games. Fortnite is a game changer in every sense of the word. 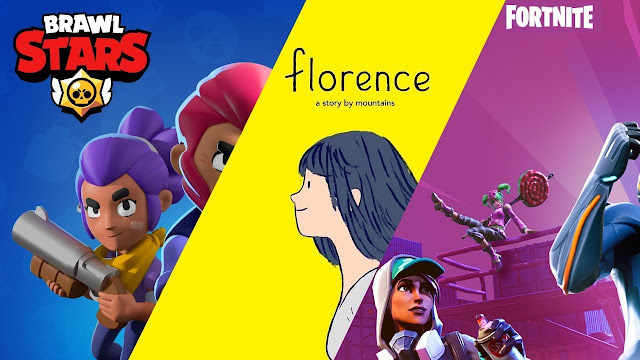 Almost certainly the biggest esports of 2019 and a game that generates a fortune each day of the week, it was so big that it started a direct challenge to both Google Play and Valve’s Steam. The game has a bright future ahead of it and it also shows what will massive gaming hits look like in the future - they will, like Fortnite, quickly become massive social and cultural ecosystems.